Cromwell Cup 2012. Photo by Mason D. Cox. 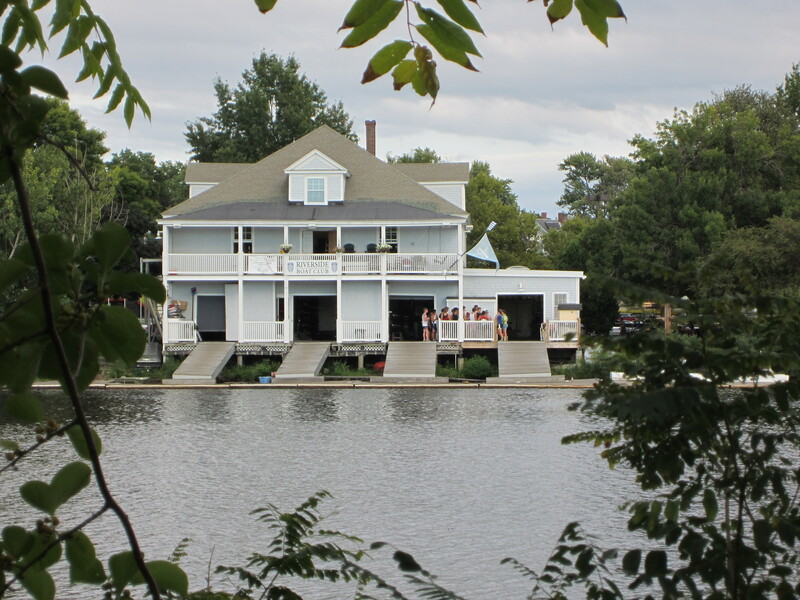 The Cromwell Cup Regatta, named after Riverside Boat Club [RBC] member and 1964 Olympian Seymour Cromwell, is the largest summer regatta held on the Charles River. Attracting rowers of all ages and skill levels, this regatta is run entirely by RBC volunteers. In 2010, rowers from 39 clubs and representing eight states participated. This year Riverside expects over 600 men and women, ages 16-70+, from all over New England and the Mid Atlantic. This is a 1,000-meter race from the Weeks Bridge to the banks for the Riverside Boat Club. Thanks to the Community Action Partner Girls who cleaned up Magazine Beach July 11th. Photo by Danielle Stehlik of the CRC. Marilyn Wellons shares the story of Captain’s Island during Discovery Days. Photo by Nina Cohen. Left: Thanks to the Community Action Project Girls who cleaned up Magazine Beach July 11th! Photo by Danielle Stehlik. Right: Marilyn Wellons shares the story of Captain’s Island during Discovery Days 2013. Photo by Nina Cohen.